So with the premise of a boat being available or at the really least it was loosely agreed. 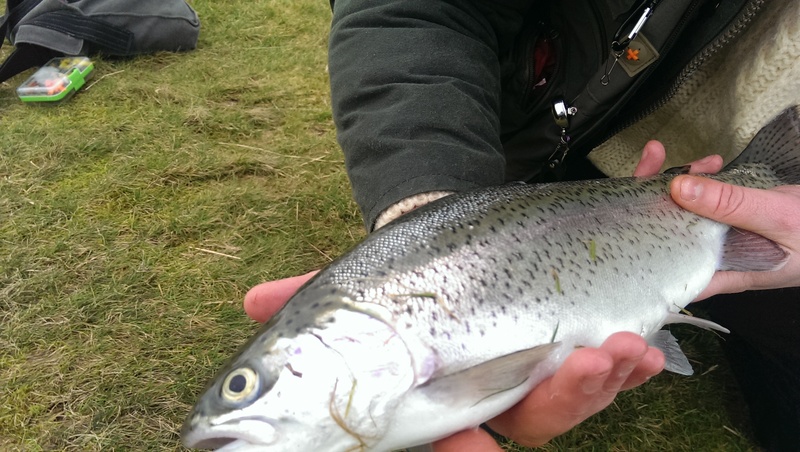 We decided to head up to Barnsfold Fly Fishery for a days fly fishing. 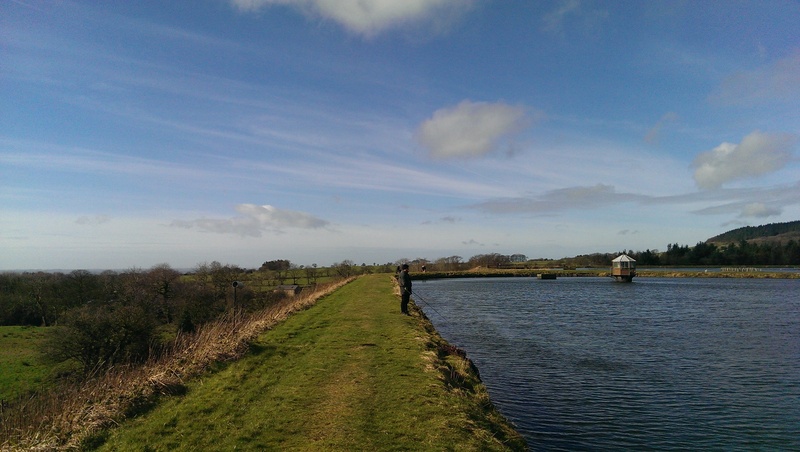 The fishery itself consists of two lakes perched overlooking the Lancashire countryside below. My initial thoughts of the fishery were that it is nicely kept if lightly visually unremarkable. Not in a negative way its just a typical reservoir bowl split into two lakes. Saying this the view from parts of the lakes is lovely. Because of its exposed nature the wind really whips over the artificial dam side of the reservoir. Making even standing on that side of the reservoir loud and uncomfortable and pretty much ruling out fishing from that bank. This I’m sure is not the case every day but it was absolutely blowing a hooley when i was there. In fact if it wasn’t windy it would be a beautiful spot with a scenic view behind you a ressie packed full of trout in front. Soooooo, on to the fishing. As it transpired we did not have a boat ready upon our arrival but we really need one. As a rookie in the world of fly fishing I often find fishing a larger water from the bank frustrating to say the very least. I personal least favourite thing about this style of fishing is the mystery fly disappearance closely followed by the getting caught in a tree behind and in third place always having in the back of mind “I don’t think I’m casting far enough”. Today despite the wind I thought I would fish a team of three flies on my trustee old Airflo 10 foot #7 weight with a couple of reels loaded with an intermediate and a floating line. I started on the top with the floating fishing with a sparkly black egg flie on the top dropper, then one of my own Daiwl Bachs on the dropper with a small black buzzer on point. 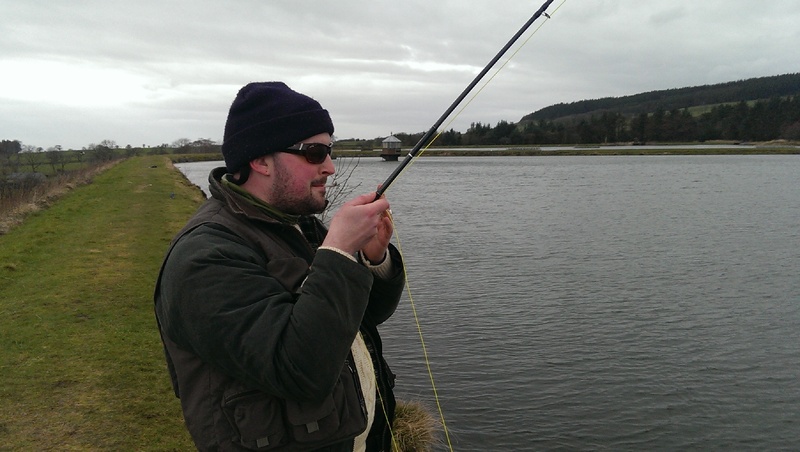 To be honest it was the first time I fished a team of flies successfully in the past my inexperience of casting meant I was on a one way train to tangle town after a few trips I abandoned the method. But despite the wind this time it actually went all right. I spent the morning playing around with different flies and colours. I eventually settled on a small orange boobie followed by a black size 16 buzzer and then another black buzzer this time in 12 with a gold head. 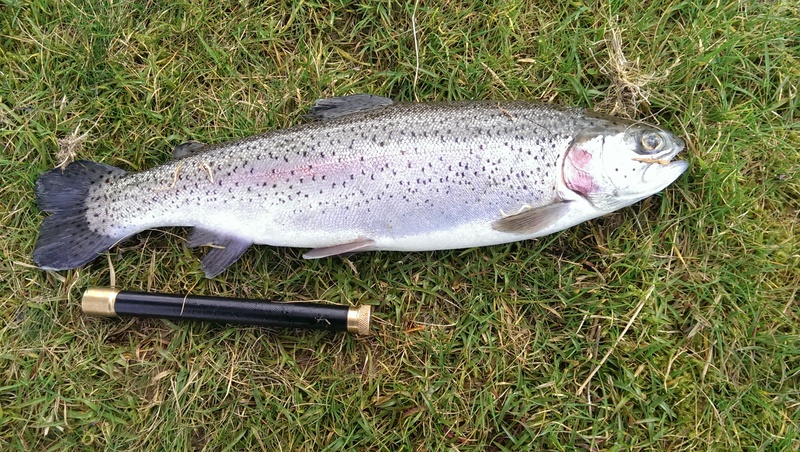 Not much reasoning in this selection but i eventually started to attract some interest from some predatory trout. I was performing simple roll casts with the flies landing not more than 5 metres from the bank. Now fishing with an intermediate line I was pulling in a slow retrieve and I was getting plenty of follows and flashes as trout flashed up to the boobie. The clarity of the water allowed me to just make out the boobie and the flashes of trout harassing the little orange lure at around 2 foots depth. 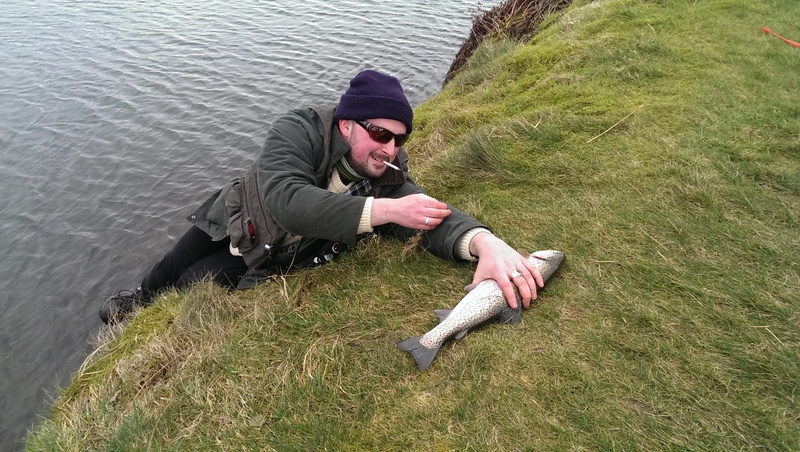 After a couple of misfires and missed takes due to lack of practice and making rollies when the fish pounced, I eventually managed to get into a couple of trout. Both eventually fell to the small buzzers trailing the boobie through the water. Although I did have a particulary memorble take having just a fish I snagged on my next cast on the point buzzer. Whilst I was waving the rod from side to side to dislodge the snagged fly a large trout took the boobie flying around in the water. 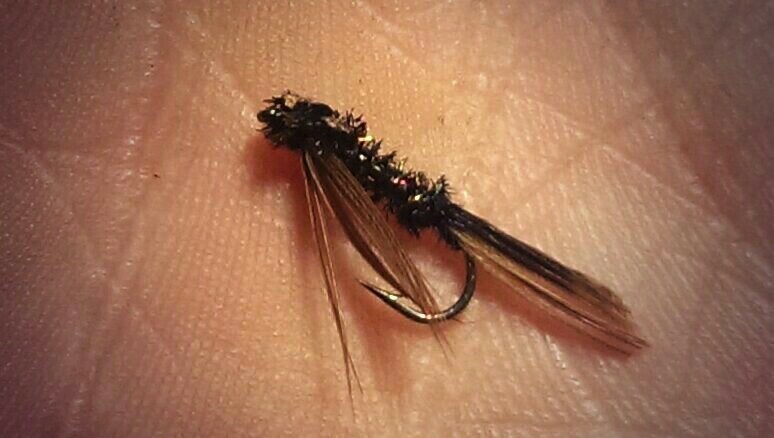 this in turn dislodged the snagged fly which was great! I then lost this new fish. Which sucked! In a final twist to the weird events surrounding this fishing trip both myself and jamie forgot our landing nets so we had to tickle the fish out which whilst hilarious on steep banks was awkward to say the least. It’s not a method of landing fish that I would recommend especially with two spare flies whizzing around at head height. Whilst spending the day with Jamie whilst he was on a self destruction spree was great and the three fish were a bonus. 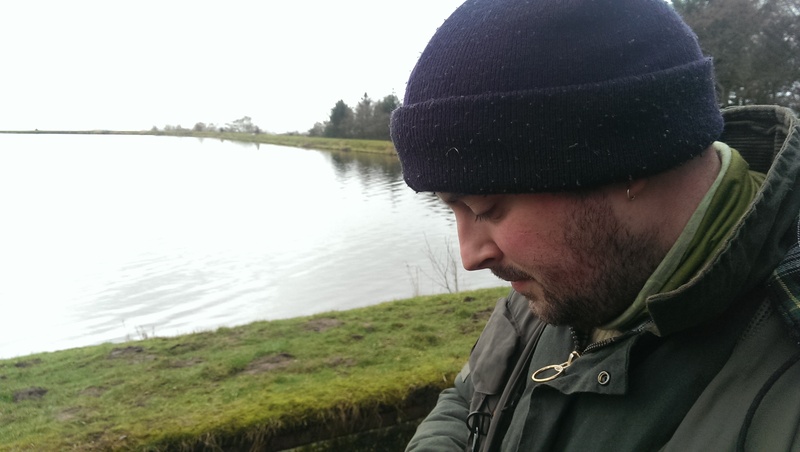 The absolute highlight was discovering this great fishery with a great atmosphere on Manchester’s doorstep up in Lancashire.